minecraft fallout map | Surviving Minecraft, Minecraft Adventures! Minecraft Fallout Adventure Map Download | Fallout In Minecraft! Lamada Wastelands is the latest unofficial minecraft iteration of the Fallout series. You take on the role of the son of the Overseer of a vault fast running out of supplies. It is your job to venture out into the Wasteland and undertake many minecraft adventures so that those you left behind might have a chance at survival. This minecraft Fallout adventure map takes many of the elements of the popular Fallout series and incorporates them into an entirely new adventure experience. In your travels you will discover minecraft vaults, be sure to stay on the right side of minecraft Securitrons and watch your Rad levels like a hawk. 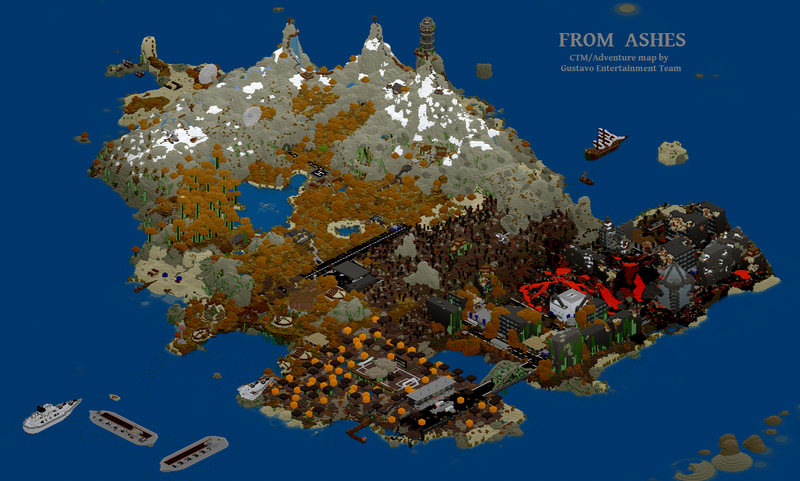 Read more and download this minecraft Fallout adventure map! This entry was posted in Adventure Maps and tagged minecraft Fallout, minecraft Fallout adventure, minecraft fallout map on February 28, 2013 by Hope. From Ashes is a very special, very large minecraft adventure map that sent thrills of excitement racing through my dedicated minecraft lobe when I first saw it. From Ashes is a post apocalyptic, open world minecraft adventure map with over sixteen dungeons, custom loot, traps, a plenty and of course, a monument to be completed. Click here to read more, check out minecraft screenshots and download this absolutely epic minecraft adventure map! This entry was posted in Adventure Maps, Complete The Monument and tagged best minecraft adventure maps, large minecraft adventure map, minecraft apocalypse, minecraft ctm, minecraft fallout map on November 6, 2012 by Hope.